We bring a better water cooler to your Greenville, Spartanburg, and Anderson, South Carolina location. Instead of heavy water bottles, we modernize the office water cooler with a plumbed in and filtered unit. 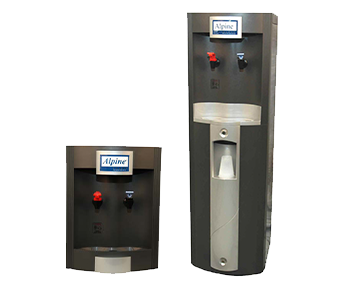 Eliminate the hassle of lifting and storing 5 gallon bottles of water, while still retaining the benefits of a water cooler, with a water filtration unit. It connects directly into your existing water line, then passes the water through filters that eliminate taste affecting impurities. What is left is pure, clean tasting water. Available as a traditional looking floor standing model, or a more compact countertop version, the water filtration units offer both hot and cold water. The water will taste better and be more appealing to employees and guests. Plus, the filtered water can be used in your coffee brewer lowering maintenance needs and enhancing the taste of your coffee. It’s a great way to improve your existing office coffee service benefit. Pure, clean tasting water pushes coffee and tea to the next level of impressive. Get a water cooler that fits your space, needs, and makes your existing office coffee offering taste better. Make lifting and storing 5 gallon bottles of water a thing of the past with a plumbed in model. Designed to be compact, these water filtration units fit easily on counters to save floor space. Mimic the traditional water cooler with a floor unit that is actually filtering your existing water. From filter changes to cases of individual bottled water, we can deliver whatever you need. All water filtration units offer hot and cold water as a convenience to users. Encourage hydration by providing the best tasting water in the Greenville, Spartanburg, and Anderson area. Need water for a crowd? We offer water in cases for all corporate events and meetings. Having individual bottles of water is imperative in today’s business environment. We offer you bulk rates for cases of water delivered to your Greenville, Spartanburg, and Anderson, South Carolina facility. 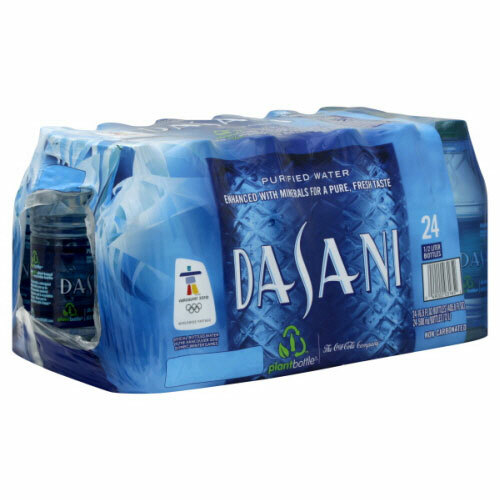 Enjoy brands such as Dasani, Aquafina, Nestle Pure Life, and Crystal Geyser. Make sure you aren’t short water for your next business lunch, corporate meeting, or even just to offer in the front office. Hydrate at work using new equipment and hassle-free delivery with Cromer Food Service at 800.922.3174 or info@cfsvending.com.